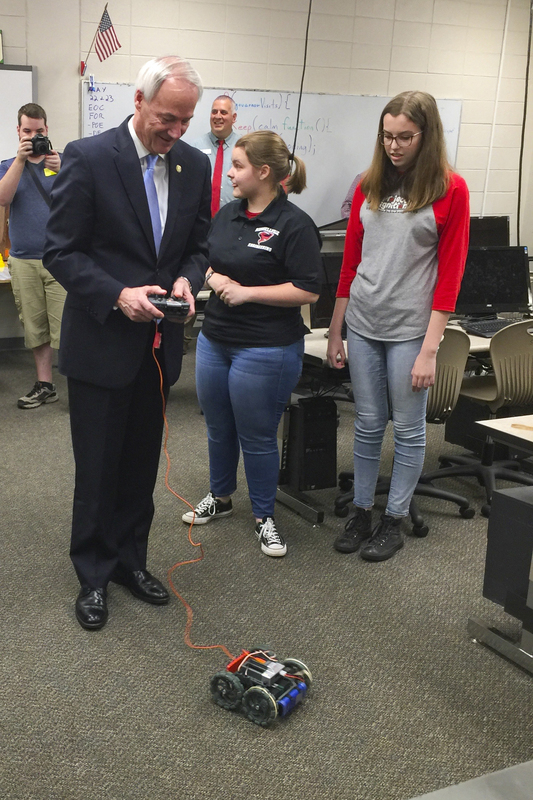 Governor Asa Hutchinson visited Russellville High School on Monday, May 8, 2017 as part of his computer science initiative. 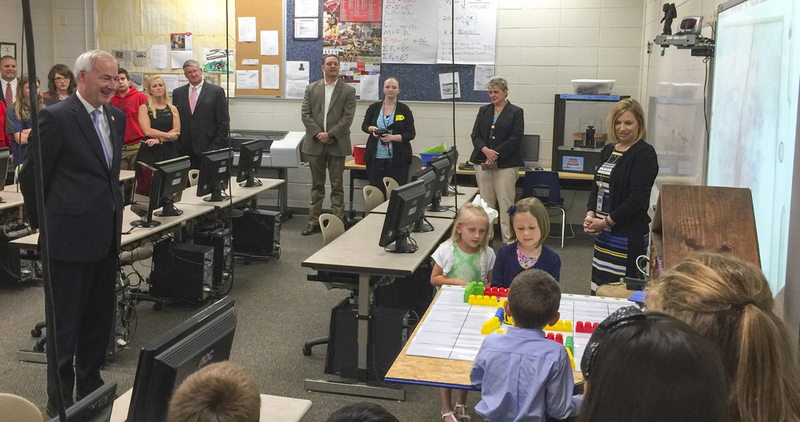 While at RHS, he toured the robotics classroom at RHS, where students in the RJHS computer science class and Sequoyah Elementary modeled their computer coding skills. Governor Hutchinson then spoke to RHS student body where he discussed the benefits of computer science courses.